On January 31st, in Irving, Texas … or a simulcast location near you … you have the opportunity to learn more (a lot more) about Microsoft’s management platform – System Center. For those of you who don’t know of my past lives, I used to be the product manager for two SysCtr products, Operations Manager and Data Protection Manager. One of my favorite things about the SysCtr world is the community, including the MVPs as well as the passionate user communities around the world. Since its launch last Spring, Microsoft has been doing a lot more “solution” centric readiness events, around use cases that leverage multiple parts of the SysCtr2012 portfolio – and the capabilities are impressive. But as a long-time IT Pro, I still want to dig deep into each technology on its own. Its kind of like building a cabinet. Its great to use all of the tools and parts to build a cabinet – but somebody still needs to be a master with a power-saw, or drill, or screwdriver. 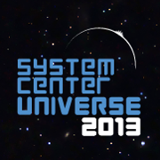 Community experts like the ones at Catapult Systems are meeting the need by delivering events like System Center Universe. 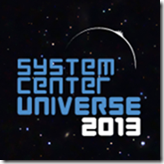 It was a privilege to speak at SCU2012 and am just as jazzed to attend, learn-from and hang-out-with this year’s awesome lineup of MS SysCtr experts, as well as my friends from Microsoft, Veeam and Catapult. There are user groups all over the planet that are dialing in, so it ought to be an awesome day. And if you happen to be attending in person – tweet me to talk more about all things data protection.